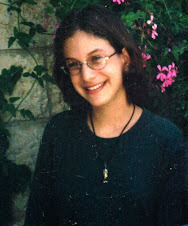 For those new to this blog, the person described in today's DoJ announcement murdered our fifteen year old daughter Malki. We have been urging the authorities in Washington to take steps like these since 2012. Many more steps are still ahead. We are grateful for the work of the investigators and lawyers, and hope now for effective steps by the diplomats and the politicians. 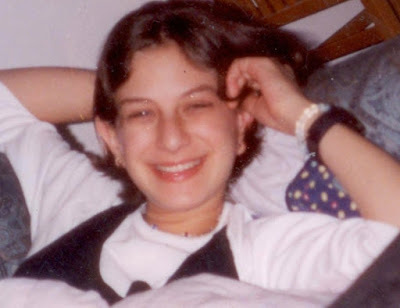 A criminal complaint was unsealed today charging Ahlam Aref Ahmad Al-Tamimi, also known as “Khalti” and “Halati,” a Jordanian national in her mid-30s, with conspiring to use a weapon of mass destruction against U.S. nationals outside the U.S., resulting in death. The charge is related to the defendant’s participation in an Aug. 9, 2001, suicide bomb attack at a pizza restaurant in Jerusalem that killed 15 people, including two U.S. nationals. Four other U.S. nationals were among the approximately 122 others injured in the attack. Also unsealed today was a warrant for Al-Tamimi’s arrest and an affidavit in support of the criminal complaint and arrest warrant. The criminal charge had been under seal since July 15, 2013. Acting Assistant Attorney General for National Security Mary B. McCord, U.S. Attorney Channing D. Phillips for the District of Columbia and Assistant Director in Charge Andrew Vale of the FBI’s Washington Field Office made the announcement. According to the affidavit in support of the criminal complaint and arrest warrant, Al-Tamimi was living in the West Bank in the summer of 2001, while attending school and working as a journalist for a television station. Al-Tamimi agreed that summer to carry out attacks on behalf of the military wing of Hamas (the Izz al-Din al-Qassam Brigades), a Palestinian organization designated by the U.S. as a terrorist organization. The affidavit states that on Aug. 9, 2001, Al-Tamimi met with the suicide bomber in Ramallah, in the West Bank, and traveled with the suicide bomber by car to Jerusalem. The suicide bomber was in possession of an explosive device concealed within a guitar. Al-Tamimi led the suicide bomber to a crowded area in downtown Jerusalem and instructed the suicide bomber to detonate the explosive device in the area, or somewhere nearby if an opportunity arose to cause more casualties. According to the affidavit, the suicide bomber entered a Sbarro pizza restaurant and detonated the explosive device, causing extensive damage, bodily injury and death. Seven of the dead were children, including one U.S. national. The affidavit states that Al-Tamimi pleaded guilty in an Israeli court in 2003 to multiple counts of murder arising from the Sbarro suicide bomb attack and was sentenced to 16 life terms of incarceration. The defendant served only eight years of the sentence before being released on or about Oct. 28, 2011, as part of a prisoner exchange between the government of Israel and Hamas. 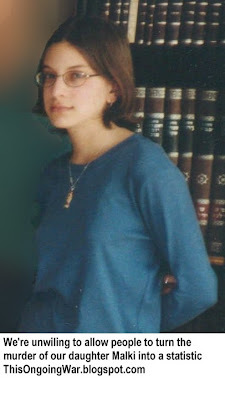 Al-Tamimi was returned to Jordan upon her release from incarceration. Jordan’s courts, however, have ruled that their constitution forbids the extradition of Jordanian nationals. The U.S. has worked and will continue to work with its foreign partners to obtain custody of Al-Tamimi so she can be held accountable for her role in the terrorist bombing. The FBI also announced today that Al-Tamimi has been placed on its list of Most Wanted Terrorists. Charges contained in a criminal complaint are merely allegations, and every defendant is presumed innocent unless and until proven guilty beyond a reasonable doubt. The maximum penalty for a person convicted of this charge is a lifetime term of incarceration or death. The maximum statutory sentence is prescribed by Congress and is provided here for informational purposes. If convicted of any offense, the sentencing of the defendant will be determined by the court based on the advisory Sentencing Guidelines and other statutory factors. The investigation into this matter was conducted by the FBI’s Washington Field Office. The Office of International Affairs of the Department of Justice’s Criminal Division provided significant assistance. The case is being prosecuted by the U.S. Attorney’s Office for the District of Columbia and the National Security Division’s Counterterrorism Section. Victims and their families can contact the Department of Justice via e-mail at USADC.SbarroCaseIsrael@USDOJ.govEmail links icon. I hope and pray that she will be brought to justice for the sake of all the victims. I am praying continuously that this monster be brought in again, and not gently, and that she never again escape the justice that awaits her. She is evil incarnate. Life in solitary confinement so she doesn't have the opportunity to influence other prisoners. Death is too easy.